Just take a break, attend a training program, travel for a business trip or enter a customizable absence. Timeout is a flexible tool that helps coordinate your staff, saving you time, effort and paper! You are interested? Keep your Office 365 login ready and try it yourself. Easily bring order to your company with timeout. Eliminate staff chaos with our holiday planner app, quick and easy! You can manage all absences, such as holidays, and customize them to your needs. Quickly and easily apply for overtime, unpaid leave, a business trip, or parental leave - with timeout it only takes a few clicks. As a supervisor, you can manage your employees with timeout. This works over preexisting Office groups, linking your employees directly to you. 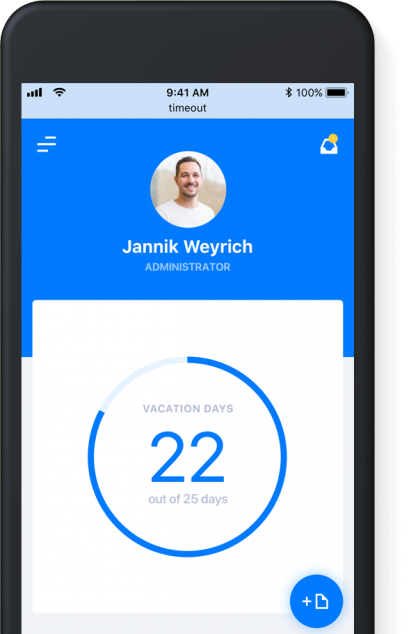 You can accept or decline your employees' requests through Microsoft Teams or via the timeout web app, allowing you to easily keep track of your employees vacation days. As an employee, you do not have to create any new accounts. You can simply use your existing Office 365 account to quickly send your vacation requests digitally. Additionally, approved leave requests will automatically be added to your Outlook Calendar. You can receive notifications about the status of your application either via email or Microsoft Teams - all you need is your smartphone. timeout is available on all common systems and devices allowing fast location and time independent management of absences. No matter where you are, you can always access timeout from your smartphone. Superiors determine the number of days off individually for every employee in their respective leave account. Here, employees can see their remaining days off as well as their submitted applications. 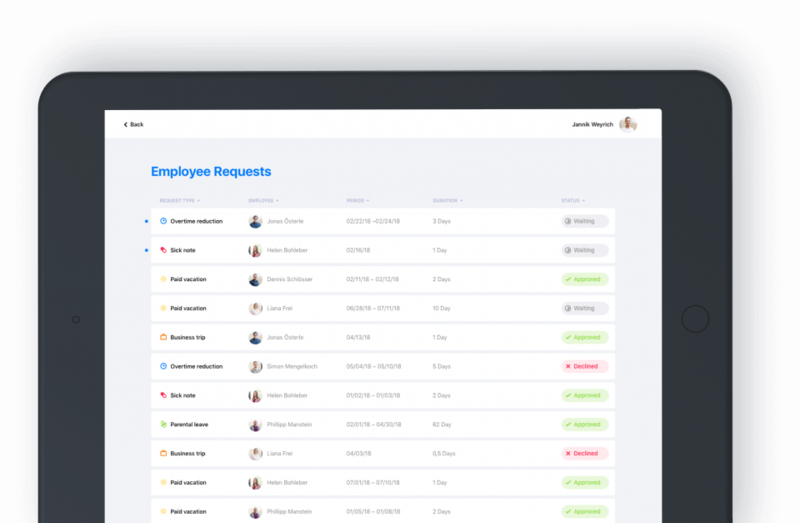 Furthermore, timeout simplifies the administrative processes by notifying supervisors of all new employee requests, which they can then accept or decline with just one click. No more annoying and complicated applications, only easy and transparent vacation planning! 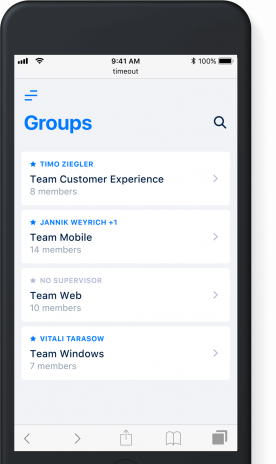 Microsoft Teams shows you the availability of your colleagues for optimal productivity. Via the timeout web app you can easily send in a sick note from the comfort of your bed. Push notifications help to make interaction faster and more direct. No more annoying paperwork. Microsoft Office access reduces administrative effort saving you time and effort. By linking with Microsoft Office, your data, groups, and calendars are available everywhere and to every team member. User satisfaction is our number one priority, which is why the app is easy and intuitive to use. Quickly handling absences is in the forefront of our design. Save on annoying paperwork and digitize your vacation planning. Create your own types of absences and custom holidays. By linking to Microsoft Teams and email notifications, users can easily get information about the status of their applications. Send us a request for an individualized offer.